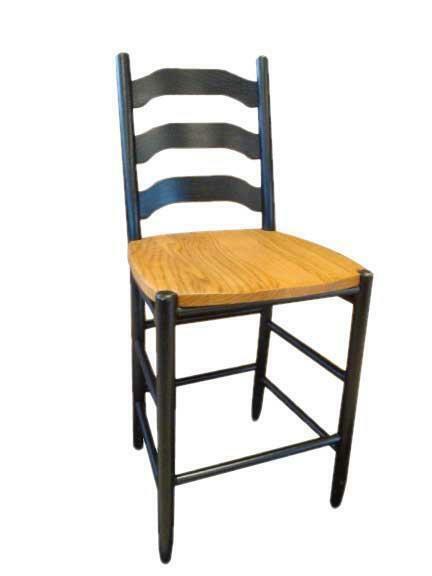 The Amish Four Step Shaker Barstool shows off the popular ladderback that shaker style furniture is known for. Legs offer a lovely tapered look. Seat is scooped for comfort. These bar stools are solid wood and come in a 24" or 30" height to make a great seating option at your kitchen counter or bar. It's easy to brighten the counter or bar with a new set of barstools from DutchCrafters. We customize your furniture to reflect your personal style. Order online or get in touch today by email or phone. Thank you for shopping with us.